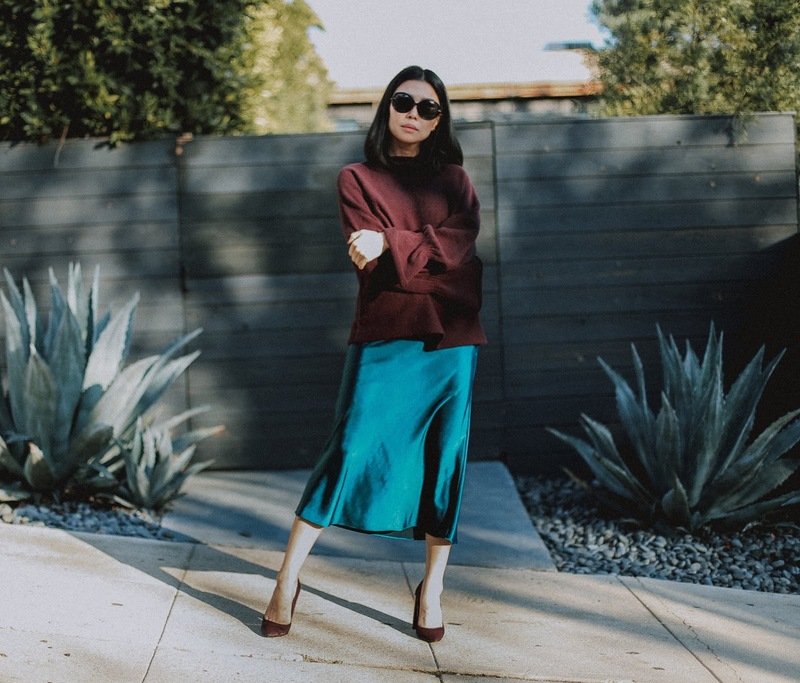 How I'm styling the satin slip midi skirt, one of winter's biggest fashion trends! I'm so happy it's finally February! January went by in the blink of an eye as it was spent detoxing from the holidays followed by a blissful weeklong trip to Hawaii with the fam. I'm back now and back to the swing of things. Much like the weather, of late I've been on a shopping freeze, uninspired by the cold while eagerly awaiting next season's new trends and finds. This has really encouraged me to work with and find new ideas to pair some of my favorite existing pieces. 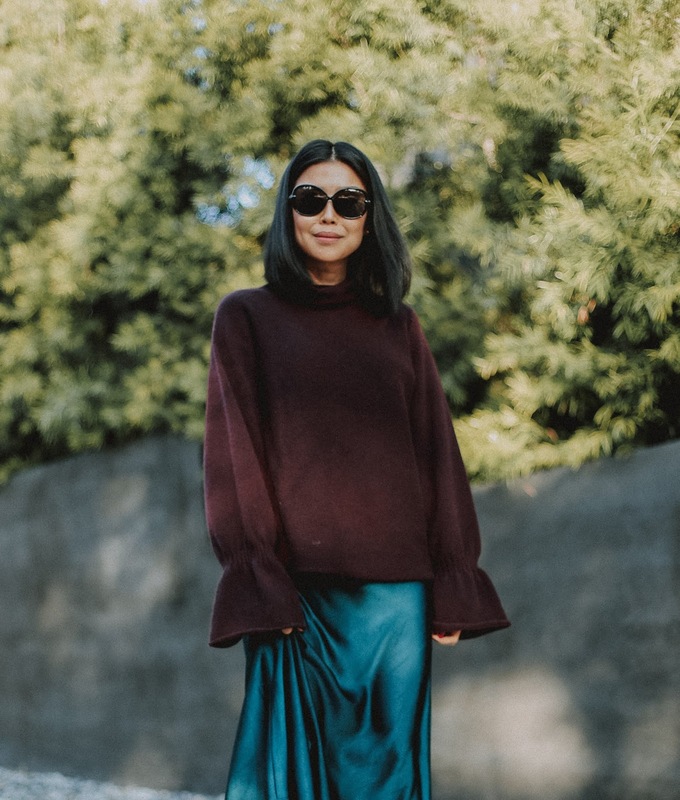 Sick of perpetually wearing cozy sweaters with jeans, I decided to pair it with a satin slip skirt, a delicate and wispy way to style an everyday winter outfit. Satin skirts have been having their moment for a while and I anticipate we'll see much more of the feminine trend in the upcoming seasons. It's just too romantic not to fall in love with! I like your post & I will always be coming frequently to read more of your post. I am sharing Nexter this blog with you for more information. Thank you very much for your post once more.